Welcome to Renee Tsang Travels! A blog outlining all my personal travel adventures, and experiences with my life as a travel consultant, resort reviews, and commonly asked travel questions from clients! 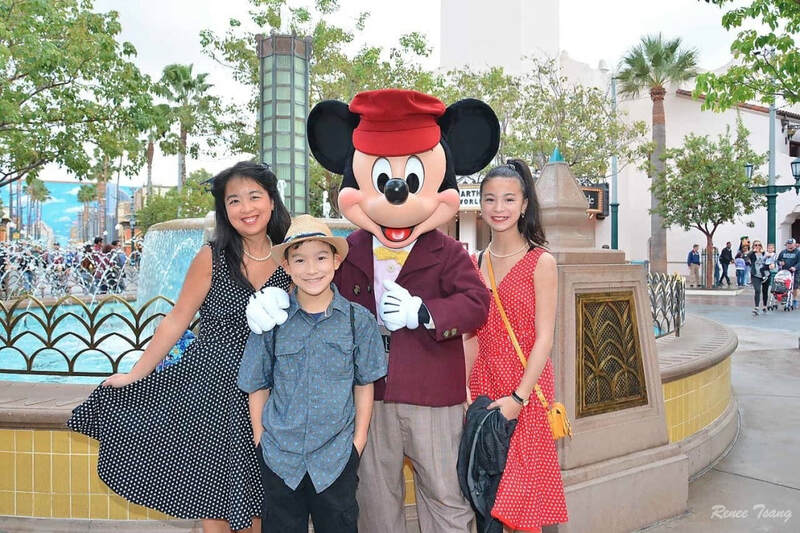 Also, as a huge Disney fan, my personal mission is to visit as many Disney destinations and experiences as I can and share the magical world of Disney with my family and my clients! Why travel?? Because life is too short to stay home! 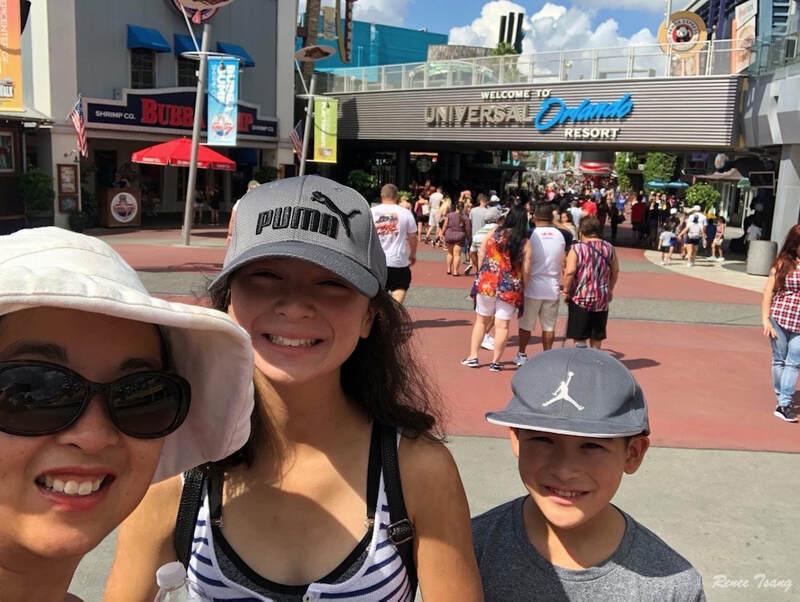 Though we were originally going to just visit Walt Disney World this trip, Universal Orlando is its own vacation destination and we couldn't stay away! 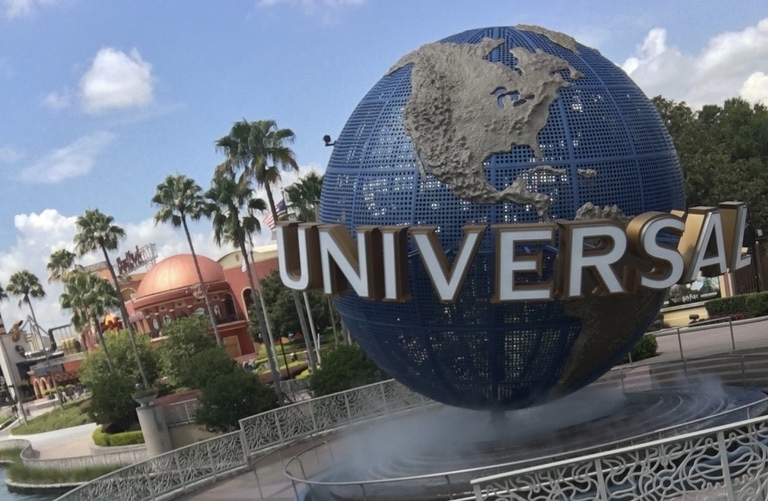 So we opted to stay offsite this time to have the opportunity to enjoy all the new stuff at Universal Orlando and can compare against the onsite experience we had two years ago. Join your favourite Toy Story friends, Buzz Lightyear, Woody, Jess and the Green Army Patrol in the newly opened Toy Story Land at Walt Disney World! Through the blistering heat in August temperatures, we bravely slogged through the crowds to enjoy the new land to ride the new Slinky Dog Dash rollercoaster, Alien Swirlsaucers and fan favourite Toy Story Mania! 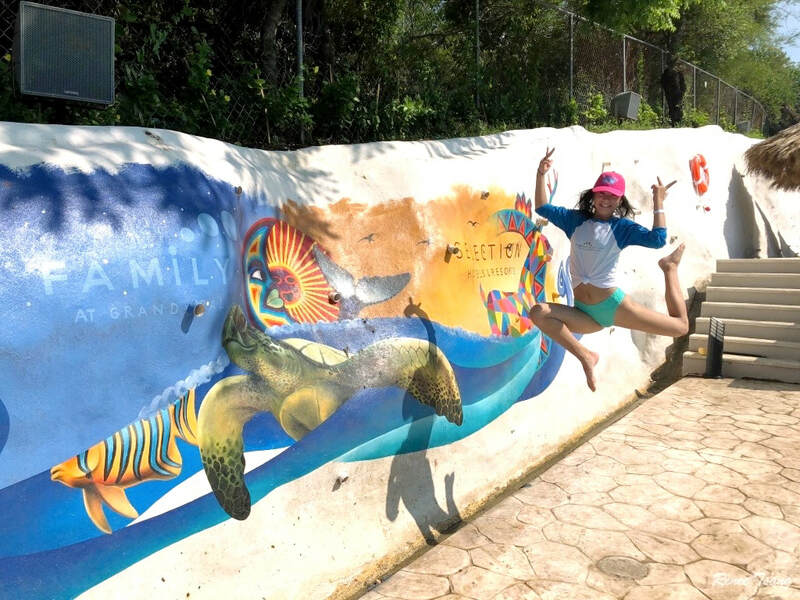 Thanks to the Palladium Hotel Group, I was able to share in a special mother daughter girls only trip to Puerto Vallarta with a luxurious stay at the new Family Selection at Grand Palladium Vallarta Hotel and Spa. 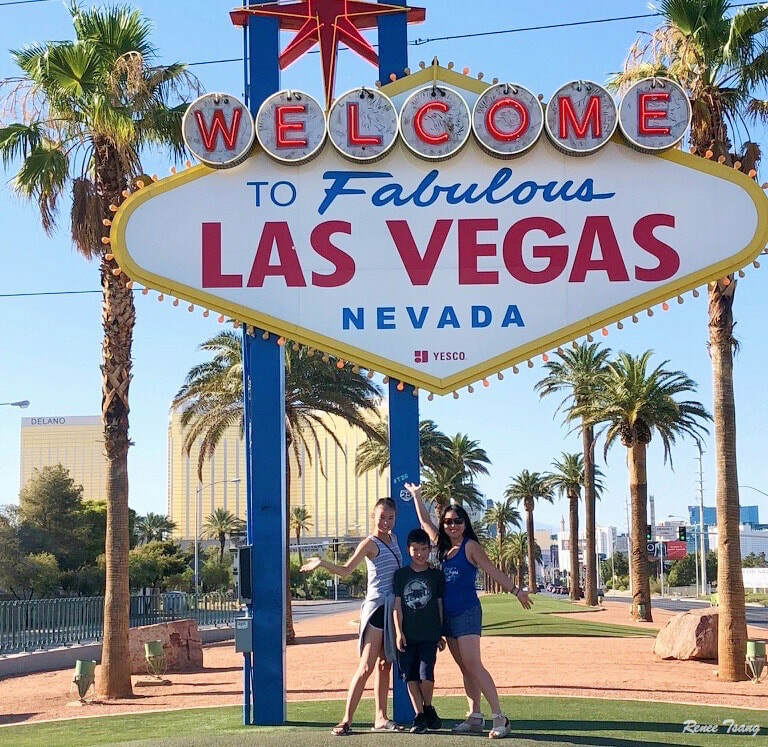 We connected with other like minded individuals and families who understand the importance of travelling with their kids, and making some amazing memories along the way. I wanted to do a runDisney event with my kids so they could experience the joy of running a runDisney race so the Spiderman 5K was the perfect intro to the runDisney world. It's such a great family friendly event for all ages with kids as young as 5 able to register and participate. Why not get all dressed up in your Sunday best and head to Disneyland? That's the idea behind Dapper Day, a day to celebrate the days of a bygone era where people would get dressed up in their best attire for a day out in Disneyland. Getting Slimed and Stuff at Nickelodeon Punta Cana! 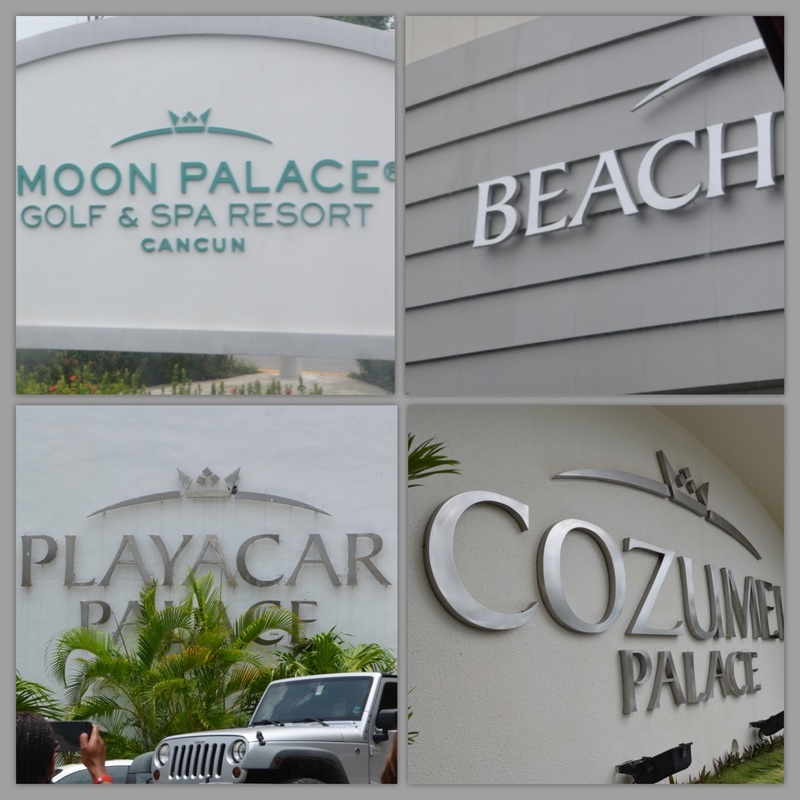 Ever since Nickelodeon Hotels & Resorts first opened their resort in Punta Cana in 2016, I knew it would a place that I would eventually visit! It's such a fun themed resort and perfect for a family vacation in the Dominican Republic. We just recently came back from a whirlwind trip to Walt Disney World and experienced the newest land that just opened in Disney’s Animal Kingdom Park in Orlando! While it is a bit crazy to visit Disney World for a quick weekend getaway from Calgary, some of the best trips are short and sweet! In my mind, a little Disney magic is better than no Disney at all! It was a perfect weekend to explore the new world of Pandora with the Extra Magic Hours available to Disney onsite guests as a part of its opening plans. Wondering what's new? The Disney Wonder has been Reimagined! When the opportunity arose to go on another Disney cruise adventure, it was one I could not pass up! The Disney Wonder went into dry dock earlier this year for extensive upgrades and changes, her debut into the world reimagined offered an opportunity to visit her again to see all her in her shiny new enhancements! Canadian pride is out in full force! One of the most highly recommended restaurants in all of Disney World is Le Cellier Steakhouse and is one of the first restaurant recommendations I mention to clients or friends. Le Cellier, is French for "the cellar" and is located in the Chateau at the Canada Pavilion at the World Showcase in EPCOT at Walt Disney World. The experience is akin to visiting an underground wine cellar for a cozy and intimate steak dinner surrounded by vintage glass and wood architecture. Disney Dining Plan - Yay or Nay? One of the benefits to staying onsite at a Disney resort is that you can add a dining plan to your reservation! The dining plan is exclusive to Disney World onsite guests and gives you pre-purchased meal credits that can be used in over 100 restaurants throughout Disney World. Each guest is allotted a certain number of meal credits (depending on the specific plan purchased), per night of your stay. All guests in the room reservation must be on the same dining plan and must be purchased for the length of the stay. If you are thinking about a visit to Walt Disney World in Orlando, then this is the perfect place to begin! There are so many different options for every single type of family vacation, (or honeymoon! ), and for all budgets. Often, the biggest determining factors tend to be for how long, and where to stay. The many extra benefits of staying onsite at a Walt Disney World Resort far outweighs the cost savings of staying onsite and sometimes the difference can be minimal, if you factor in all the extra time and costs that are levied when you stay offsite. Morimoto Asia Disney Springs - Asian food heaven! 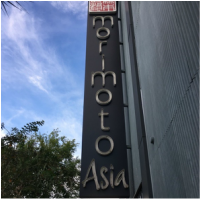 When I heard that Morimoto Asia was opening up in Walt Disney World as a part of the newly redesigned Disney Springs in September 2015, I knew that I had to visit on my next trip to Disney World. Growing up, Chef Masaharu Morimoto was my favourite Iron Chef on the original Iron Chef series and I would faithfully watch the food battles of Kitchen Stadium and loved the dubbed Japanese conversations! There was so much fire and excitement centered around food! Now we find old episodes on Youtube to introduce my kids to the food finds of the nineties! Its been almost 20 years since I've been to Florida and I cannot wait to return! With so much to do there, it is no wonder it is one of the most popular and most visited vacation destinations year after year! Considered the theme park capital of the world, Orlando is a destination not to be taken lightly so choose wisely and maximize your time there because the choices are endless! Kim's Kitchen is a local Calgary talk show on ShawTV "aiming for the the wisdom of Oprah, humour of Ellen and the outspoken of Rachel." As they are beginning to film new episodes for Season 3 of the show, I was honoured to be a guest on their episode focusing on “Cabin Fever”. It was a super fun morning of filming with a great group of ladies, and fantastic behind the scenes crew. Here is a quick summary of some of the ideas that I was planning on sharing for this episode of Kim's Kitchen on affordable family fun in and around Calgary to alleviate cabin fever! It's a tough economic situation right now, especially in Calgary and Alberta. Our Canadian dollar is the lowest it has been in a long time and there doesn't seem to be any relief in the near future. Oil prices are low. The loonie is crap against the US dollar. How do we all cope and manage?? As we say good bye to one year and usher in a new beginning, many people think about New Year's resolutions and set goals for what they want to accomplish. Travelling is always on my list but I don't get to travel as much as I would like but that certainly doesn't stop my from dreaming! As I am sure that travelling more is on most people's New Year's resolutions list too! With that in mind, here are some New Year's resolutions for you, my friend, to keep travels on your New Year's resolutions list. "Hello!" (And look at me attempting Tahitian!) My travel agent journey takes me to Tahiti! Learning about the Islands of Tahiti for the Tahiti Tiare Program is helping me understand the appeal and desire to visit Tahiti and now, I'm just going to "have to" visit Tahiti someday to truly understand her personality! Aloha! What is it about Hawaii that makes everyone smile and sigh with memories of pure paradise or dreams envisioning an Hawaiian adventure? For anyone who has visited Hawaii, you KNOW what I'm talking about! Imagine yourself in a private cabana along the beautiful white sandy beaches of the Mayan Riviera, sipping your cocktail with personal concierge service attending to your wishes and enjoying the quiet serenity of a relaxing holiday to rejuvenate your spirits. 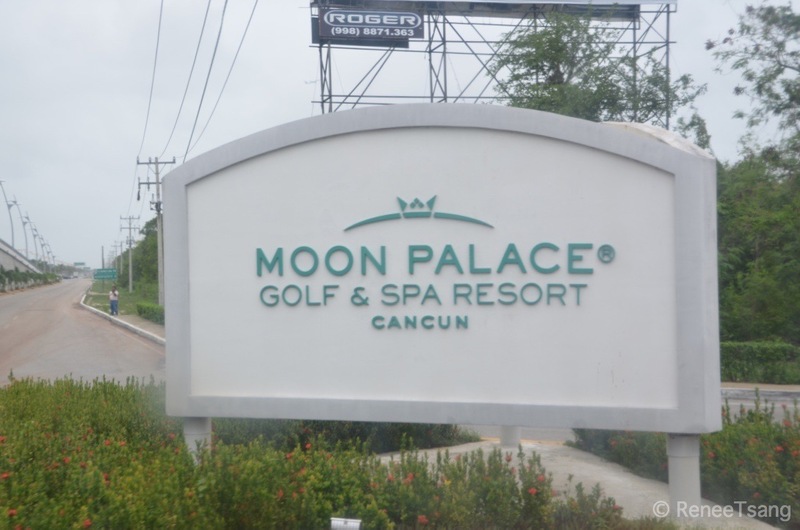 This is what a luxurious beach vacation sounds like and the best place to get your adult only experience is with Palace Resorts - Le Blanc Spa Resort, Sun Palace, and Isla Mujeres! A sophisticated and high quality, luxurious and self indulgent vacation + kids is not usually a combination that most people consider. But you can spoil yourself and your kids rotten with a stay with Palace Resorts, the leader in first class all-inclusive resorts in Cancun, Mexico and surrounding area. With 7 resorts in the Cancun and surrounding Quintana Roo area, Palace Resorts are all leading resorts in the top 10 on TripAdvisor so whichever Palace Resort you choose to stay at, you will not be disappointed! Each resort offers the same level of first class service, upscale dining establishments, impressive surroundings and plenty of activities for families of all ages! Become a kid again at Disney without the kids! 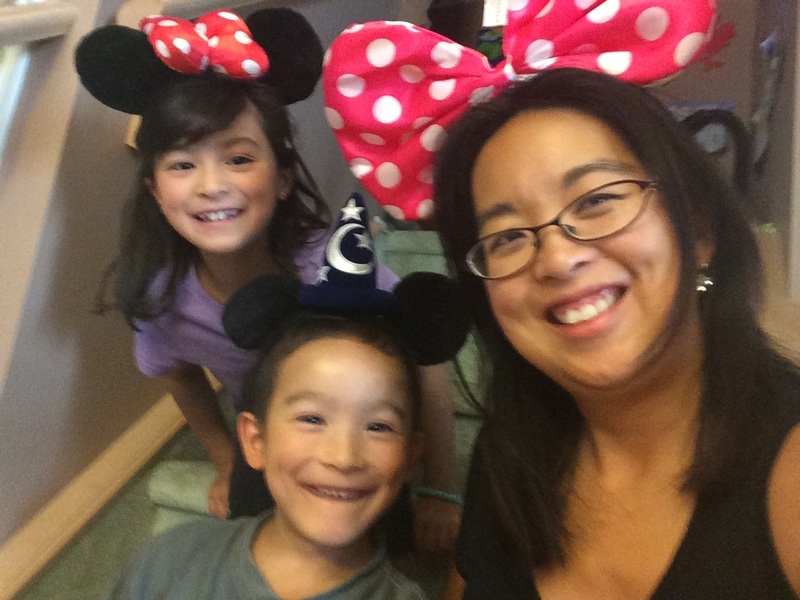 Can you imagine a Disney vacation without kids?? Why would anyone want to go to Disney without kids? Because as parents we are used to and very comfortable with planning many areas of our lives around the kids. And travel, vacations and especially Disney vacations are usually all centered around our kids. BUT.... Have you ever considered a Disney vacation, WITHOUT the kids?? Disneyland in Anaheim, California held their annual 24 hour marathon event on May 22, 2015 where the parks are open for 24 hours, from 6:00am on Friday, May 22 until 6:00am Saturday, May 23, 2015. I was joined by my fellow Disney addict-partner-in-crime, Vinnie, to tackle the 24 hour marathon event as Disney marathoner rookies. Mixology = Tipsy-ology on a Disney Cruise! Some Fun for Adults too! When most people first hear the words "Disney cruise", images of kids overtaking the ship and frantic parents abound trying to appease high energy kids are very common! One might think, Disney cruises are best for kids and families. Which... it is true. Disney Cruise Line is definitely highly recommended and recognized to be a cruise line option for families. But what about adults? Disney is not JUST for kids!! There are plenty of adult-only activities on a Disney cruise that will fill your time WITHOUT the kids!! I LOVE Hong Kong! That's all I have to say. Well, more than that but what an amazing experience we had in Hong Kong! It had been over 20 years since I've been back and so much had changed, yet there was a certainly element of familiarity with being back in Hong Kong. Welcome to Ocean Park Hong Kong, the award winning theme park in Hong Kong! A little bit of everything is here - animal theme park, amusement park, and aquarium, Ocean Park has something for everyone and is definitely a place to see when in Hong Kong! 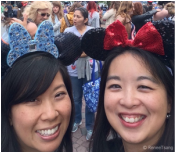 Our Disney vacation bucket list continues with a trip to Hong Kong Disneyland! Pretty much as soon as we got off the airplane, this was our first stop in Hong Kong! 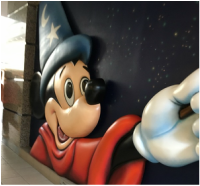 Located on Lantau Island, close to the airport, Hong Kong Disneyland brings the pixie dust magic to the Asian gateway of Eastern and Western culture! Dining on Disney cruises is definitely a culinary experience unlike any other cruise line! Their unique rotational dining experience allows you to try a different themed restaurant (and menu) each night while your serving team stays with you as you move. Onboard the Disney Wonder, the three main dining restaurants are Tritons, Parrot Cay and Animator's Palate. Happy New Year! Out with 2014, in with 2015! Happy New Year! 2014 was a fantastic year and a great start to my new travel business, and increased my travel opportunities significantly over the last few years. I had to opportunity to visit Honolulu, Hawaii, and had the pleasure of staying at Aulani, Disney's newest resort on the island of Oahu. I also took the family to Disneyland in Anaheim at the beginning of the summer, and went on a Disney cruise to Alaska in the middle of the summer! It was the year of Disney and the Disney train continues! "Must Do" & "Don't Miss" Activities on a Disney Cruise! After recently returning from our Disney cruise over the summer, and helping others plan their first Disney cruise, I'm often asked about the "Must Do's" and "Don't Misses" on a Disney cruise. So, in no particular order, here are some highlights of things that I would recommend to include on your first Disney cruise vacation! Our big summer vacation for 2014 was a 7 night Disney cruise from Vancouver to Alaska, aboard the Disney Wonder.Originally, Alaska may not seem like a common destination for summer travel. Most people generally prefer warm, tropical destinations. Especially for those of us in Alberta and living so close to the Rocky Mountains, Alaska and its surroundings may seem to be very similar to our Canadian picturesque view of the mountains and landscapes. But having been to Alaska and its natural untouched beauty, it is a destination I would highly recommend and definitely go back if given the opportunity to return! If you read my earlier post about all the extra fun activities that go into Disney cruise vacation planning, here is a quick summary of how things turned out! All the extras are certainly not required to do on a Disney cruise but it is a fun way to meet and interact with other people who are on the same cruise week so you can share ideas, stories and fun. As well, the fish extender groups help spread a little pixie dust onboard the ship and makes the trip extra magical! 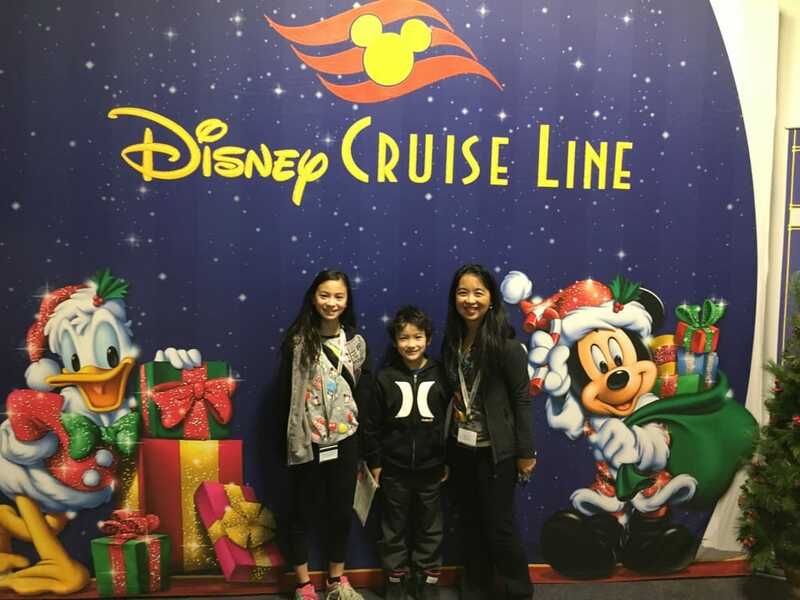 To have the opportunity to go on a Disney cruise is the ultimate in family vacation! It really feels like the trip of a lifetime and once you've sailed with Disney Cruise Line (DCL), you will promise yourself that you will definitely be back at some point in your life! I've been on a cruise before although it was only a 3 night cruise, it sure felt like decadence on a ship! With Disney, the decadence, the service, the attention to detail, the dining, the entertainment, the activities, the staterooms and there is so much more! There is truly something for everyone on a Disney cruise and regardless of age, I guarantee you will find entertainment and enjoyment on a Disney cruise! 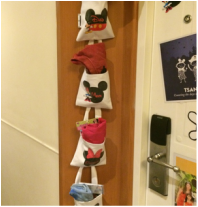 Disney Cruise - Fish Extenders, Magnets, Pixar Pals & So Much More! We're ready for our next Disney vacation! We are so fortunate and incredibly blessed that we have another upcoming Disney vacation in a couple of weeks and as the weeks are getting closer, we cannot wait for it to begin! We've been planning our Disney cruise for almost 10 months with the decision made last fall to go on the Disney Wonder to Alaska. 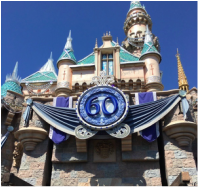 Back from our recent Disneyland vacation last week and we're going through some serious Disney withdrawal! It's such a magical place where you can immerse yourself in all things Disney, enough to get your Disney "fix" without over doing it! This was a first time visit for my kids, and I'm glad I waited until my youngest was tall enough to go on "most" of the rides! It was well worth the wait as we were able to enjoy many of the "scarier" rides and roller coasters. Dreams Los Cabos Suites Golf Resort & Spa is a AAA Four Diamond award winning resort located along the beautiful seaside corridor of the Sea of Cortes in Los Cabos. Blending a mix of traditional Mexican design and the splendour of the Sea of Cortes, Dreams Los Cabos is the perfect Mexican getaway for families, friends and multi-generational travelling groups. It is located along the central corridor between San Jose del Cabo and Cabo San Lucas, 15 minutes from each town, and only 20 minutes from the Los Cabos International airport. Zoetry - inspired by the Greek word "Zoe" meaning "life" and "poetry" meaning "artful creation", Zoetry Wellness & Spa Resorts aim to exude the highest level of luxury and a vacation experience designed around complete wellness far beyond good health and nutrition. Zoetry is the place to reconnect with life, nature and your inner self. Resorts are intimate boutiques offering Endless Privileges, unique, cultural, artistic and educational enrichment opportunities. Secrets Puerto Los Cabos is located in the exclusive community of Puerto Los Cabos with ocean front views of the Sea of Cortes. It is only 30 minutes away from the Los Cabos International Airport, 10 minutes from downtown San Jose del Cabo and about 40 minutes away from Cabo San Lucas. This resort features 500 spacious suites witl full service amenities, spa, a la carte restaurants, quick service restaurants and bars and lounges. I recently had the privilege to participate in a FAM trip sponsored by AMResorts to Los Cabos, Mexico to stay at the Secrets Puerto Los Cabos Golf Resort & Spa, their newest resort for 3 nights! 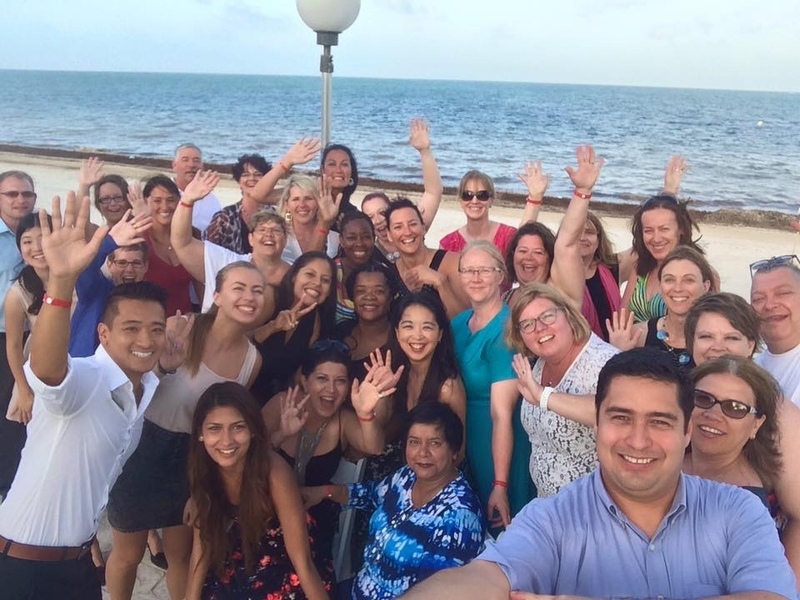 We also had the opportunity to tour other AMResorts in the area including Secrets Marquis Los Cabos, Dreams Los Cabos Suites Golf Resort & Spa, and Zoetry Casa del Mar Los Cabos. All are gorgeous resorts with different personalities to suit a variety of vacation plans! With their Unlimited Luxury and Endless Privileges programs, AMResorts prides itself as being "Masters of Vacation Innovation" and guests will be treated to an experience of unparalleled pampering and luxurious surroundings! On our first trip to Hawaii, we knew we absolutely had to experience the newest Disney resort - Aulani, a Disney Resort & Spa in Ko Olina, Hawaii, on the beautiful island of Oahu. We could hardly contain our excitement as we drove towards Ko Olina and we identified the signature brown buildings of Aulani as we got closer! My heart yearns to travel. It's just in my blood. And when you start in the travel business, my heart is aflutter with so many places to go and see, and I don't even know where to begin to go first! But, as I plan for future travel adventures, I look to my past travels to find inspiration and my first travel post takes me to San Francisco, a vibrant and colourful city that invites familiarity and culture to awaken all your senses! For the first weekend in January, we had the opportunity to create our own little mountain getaway to rejuvenate and recharge our senses before we began back to our regular schedule in life with school and work. 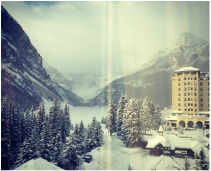 With escapes to the Fairmont Chateau Lake Louise in Lake Louise, and the Fairmont Banff Springs Hotel in Banff, it was the ultimate choice in treating ourselves to a little bit of decadence and indulgence!